This is a post about hardware and little-printer. 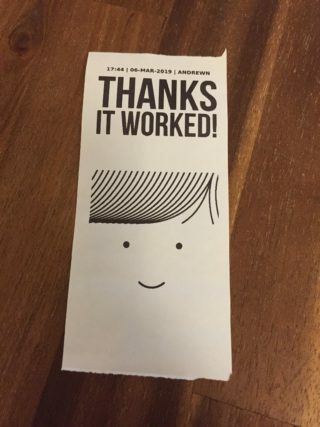 Nord Projects is hosting Little Printer's backend server and made an iOS app to easily send drawings, images or text to it. Here are the instructions I followed to make it work. ⚠️ NB: This relies on the bridge having been rooted already. Little Printer will print out a "Hello, you're almost there! … Your registration code is: XXXX-XXXX-XXXX-XXXX"
$ dns-sd -B _ssh._tcp .